Protection and strength. Diffuser bracelets. 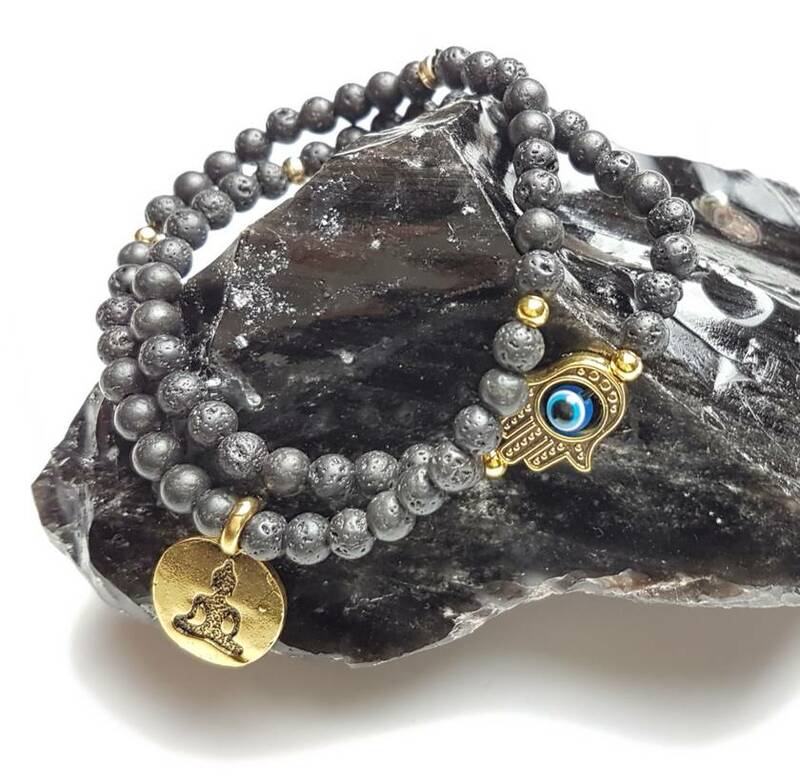 These lovely delicate bracelets are made with black volcanic basalt stone. 4mm stones delicately encircle your wrist. Basalt is porous and holds the scent of essential oils. Just rub a couple of drops of your favourite oil into the stones. 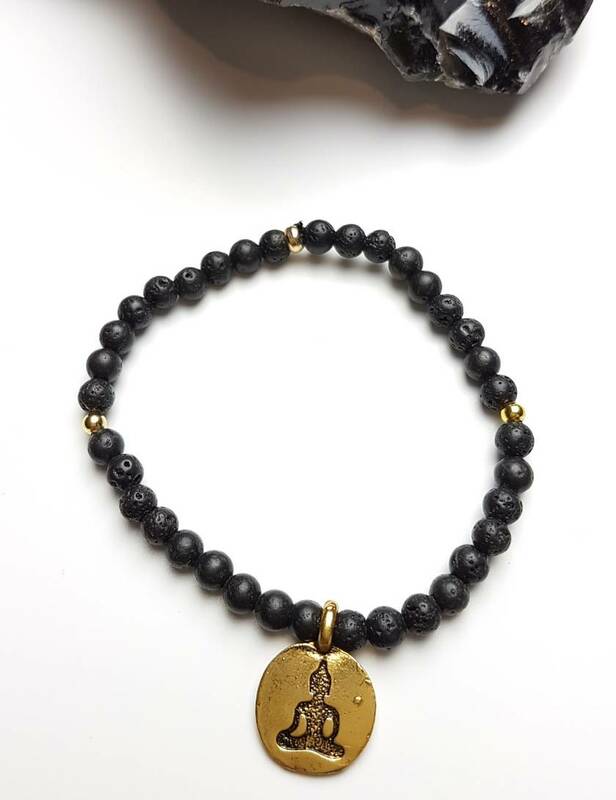 The meditating Buddha charm can be swapped out for either a lotus or om in the same style. 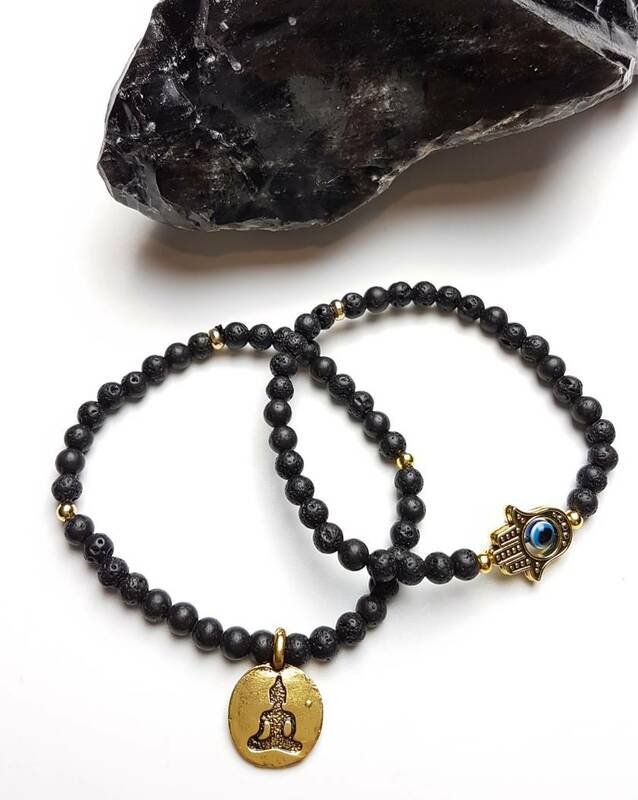 The Hamsa hand on the other bracelet represents protection, wisdom, and determination and symbolizes the hand of God or the hand of the goddess. It brings its owner happiness, luck, health, and good fortune. ... 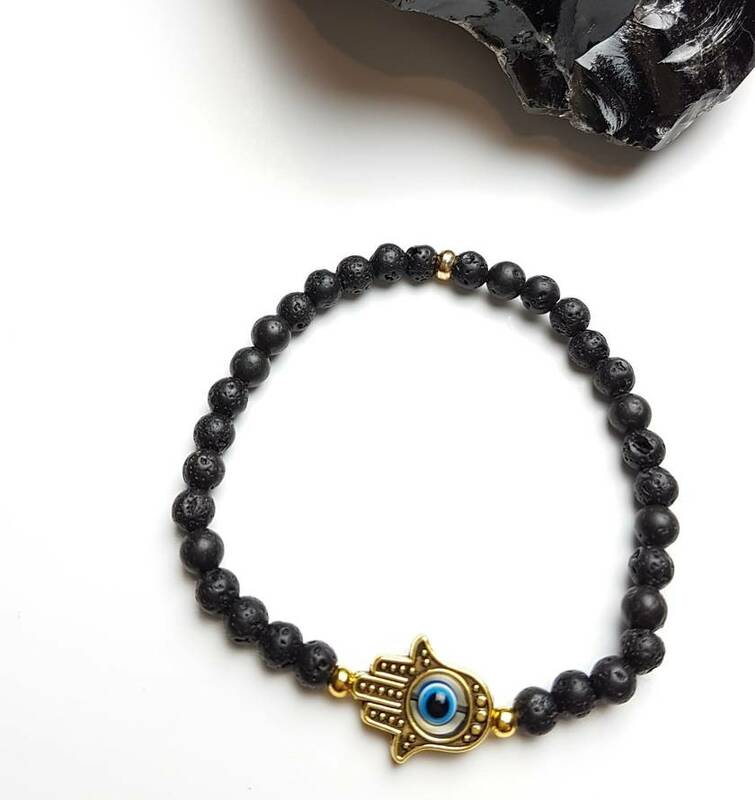 The wearer of the hamsa hand can wear it facing up or down and it is believed to give the owner success, harmony, and protection from the Ayin Ha'ra, also known as the evil eye.